"There was no way I was leaving without her." 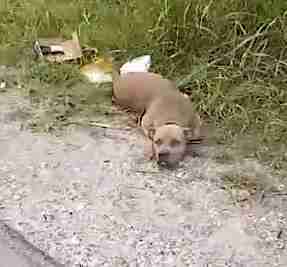 Earlier this month, Judy Obregon was driving around Echo Lake Park in Fort Worth, Texas, an infamous dumping ground for unwanted dogs, when she saw a dog's body lying motionless on the side of the road. "I remember glancing over and thinking, 'Oh no, another dead dog,'" Obregon, who is locally known as "the dog lady," told The Dodo. "As I'm about to do a U-turn to investigate, I'm looking in my rearview mirror and see, all of a sudden, that her head lifts up." Obregon doesn't even remember if she finished checking for traffic before swinging the car around and rushing over to the dog. "There was no way I was leaving without her," Obregon said. The founder of the rescue organization The Abandoned Ones, Obregon was making her normal rounds, looking for lives she could help save. Over the past six years, she's pulled an estimated 200 dogs or more out of this area, where people go to dump unwanted animals, dead or alive. Obregon investigates even the dead dogs, in case animal abusers might be caught from the evidence she finds. In her time around Echo Lake, Obregon has seen dogs who were dumped from fighting rings, or just neglected and left behind. "I do video and take photos of every dog I find dead or alive, in case investigators get involved," Obregon explained. The dogs she can save are rushed to get veterinary care and then placed in foster homes while they recover. The lucky ones go from dying at the dumping grounds to safe and sound in forever homes. So, when this dog showed even the slightest sign of life, Obregon rushed over. 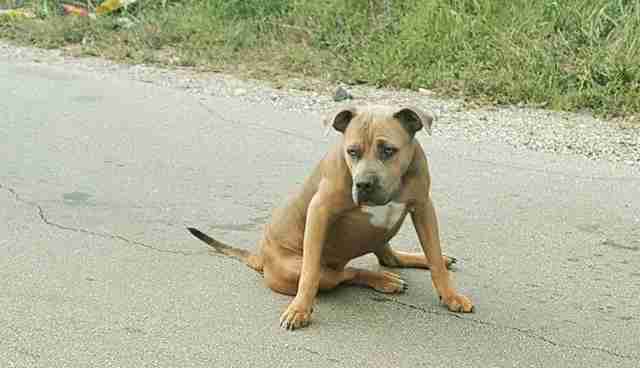 Even though the dog couldn't move her back legs, when Obregon approached her, she started wagging her tail. From that point on, the dog would be called Mercy. "When I approach her, I see she's unable to walk, so I pick her up and put her in the back of my car," Obregon said. 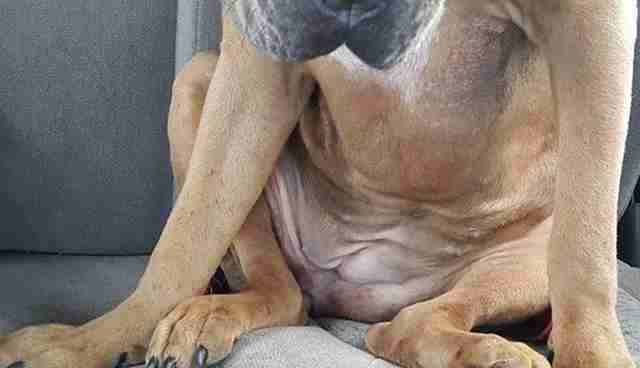 "It's a 30-minute drive to our vet, and the whole time she's whining in pain in the back seat. It seemed like I was never going to get there." Obregon has a hard time recounting what happened without crying. "I turned on the music," Obregon said, "and she started calming down." For the whole drive, Obregon had one hand on the wheel, and another reaching back to touch Mercy. "She put her paw on top of my hand," Obregon said. 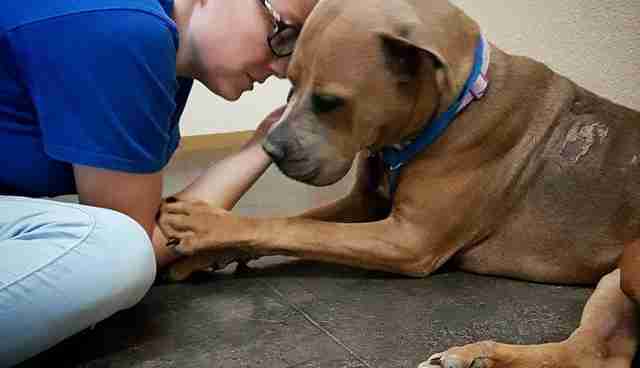 "When I dropped her off at the vet, I had her paw marks on my wrist. She was really holding my hand." At the Animal Hospital of Valley Ranch, one of the veterinarian offices that partners with The Abandoned Ones, Mercy got X-rays and pain medication. Doctors found several broken bones. But there was no evidence that the fractures came from getting hit by a car. It's believed that Mercy had been severely abused. "She had a scar around her belly that looked like a rope tied around her waist," Obregon said. 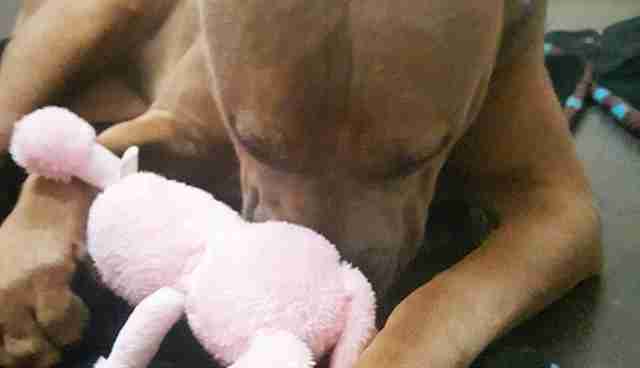 "It's possible someone was trying to breed her and she was fighting back." Obregon then took Mercy to Creekside 24-Hour Pet Care to recover. To help her walk, vets gave her a wheelchair but she didn't want to use it. Then, the next day, she came out of her kennel walking. "It was a miracle," Obregon said. Mercy stayed at Creekside for five days, and is now currently being fostered by one of the employees at Creekside. She'll go in for vaccines this week, and soon she'll be spayed. "She's still fragile," Obregon said, "but in another two months she may be ready for adoption." Meanwhile, as Mercy was recovering, Obregon was back out driving around Echo Lake. 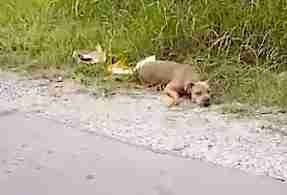 A few days after she found Mercy, she found a dead dog who had obviously been tortured. "The dog also had some of the same injuries that Mercy had," Obregon said. "The police are aware of it and are investigating. Until we catch them, there's not much we can prove. Mercy could have been that dog." Today, Mercy is still visited by the woman who saved her life. "She would wag her tail so hard when I'd come visit her at the hospital," Obregon said. 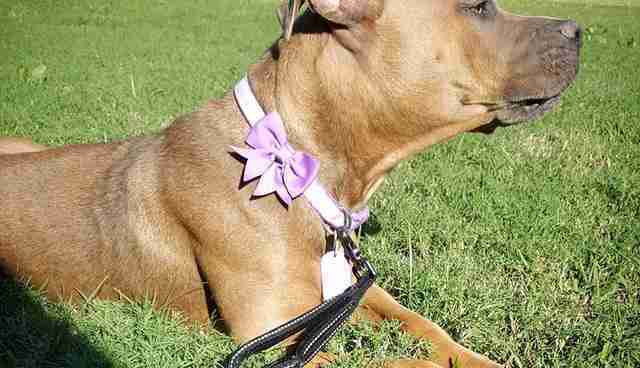 "Her tail would hit the kennel walls and wake up the other dogs." 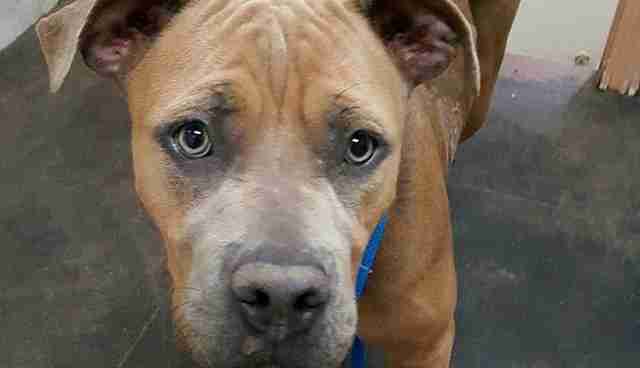 Each year, dozens of dogs are dumped like Mercy was. To help The Abandoned Ones save them, you can make a donation here. If you're local, you can click here to find out how to foster one of these dogs.